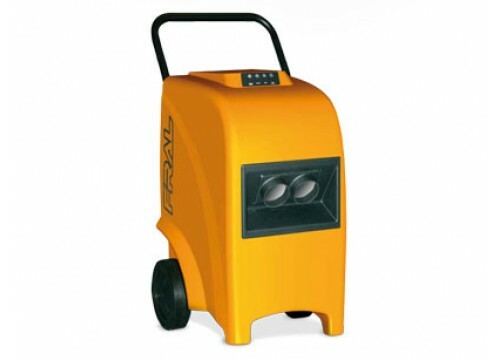 High quality build dehumidifier with a massive 44 litre extraction rate per day. Specifically designed to meet demanding conditions and heavy duty work. The rotamolded polyethylene housing is dent resistant and offers superior durability. Large castors and handle for easy manoeuvrability. Cond. Water Draining Pipe Connection 3/4"